Wow! This was hard selecting the Top Ten supernatural and paranormal movies. Ask me again tomorrow and I might have a whole new list. 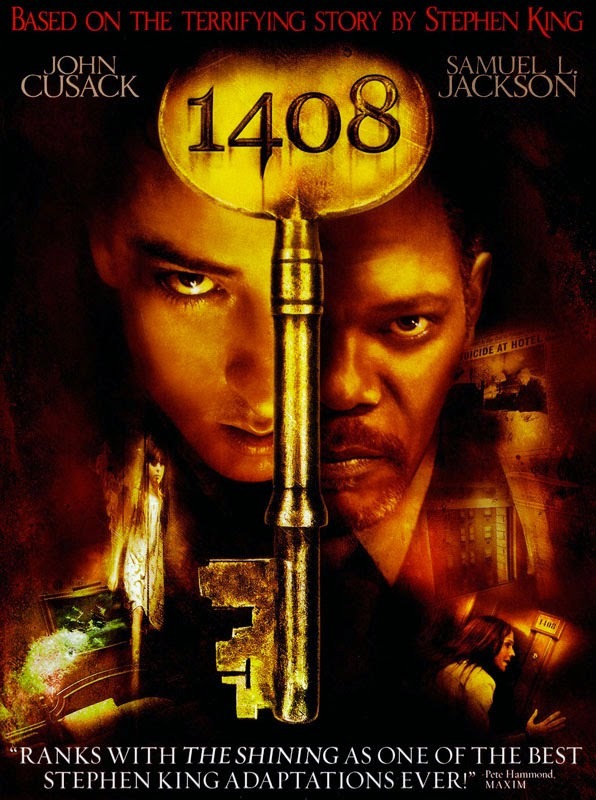 1408: Adapted from Stephen King’s short story, a man (John Cusack) who specializes in debunking paranormal occurrences checks into the fabled room 1408 in the Dolphin Hotel. Soon after settling in, he confronts genuine terror. This is a must see for all horror/supernatural/paranormal buffs! Fun Fact: In its standard edition, the DVD runtime is exactly 104 min and 8 sec, referring directly to the movie title. This also makes the DVD stop playing at precisely 1:44:08, again referring to the title. 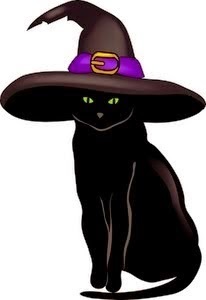 American Horror Story: Coven: Coven (Jessica Lange, Emma Roberts) is the third season of the FX horror anthology television series American Horror Story and follows a Coven of Salem witches as they fight for survival in New Orleans. Fun Fact: Kathy Bates plays historical personage Madame LaLurie, a real life Louisiana-born socialite and serial killer who kept slaves bound in her home. Bates' great grandfather was the personal physician to Andrew Jackson, who lived next door to LaLurie. How freaky is that??? 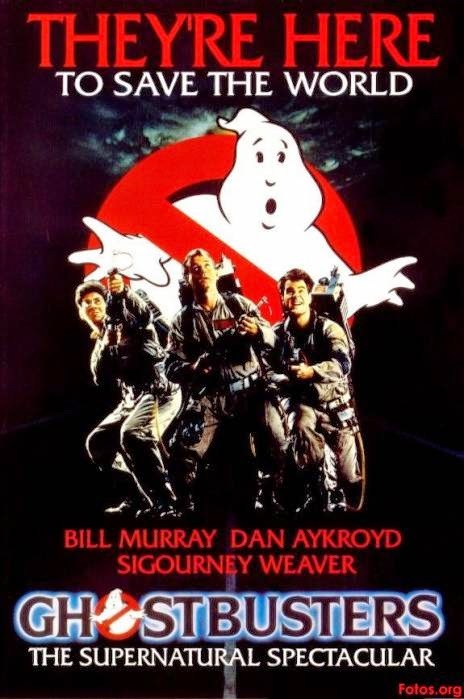 Ghostbusters: Three odd-ball scientists get kicked out of their cushy positions at a university in New York City where they studied the occult. They decide to set up shop in an old firehouse and become Ghostbusters, trapping pesky ghosts, spirits, haunts, and poltergeists for money. Fun Fact: Dan Akroyd received much of the inspiration for this movie from a haunted house he lived in. Harry Potter: All Eight Movies. Need I say more? Fun Fact: Only Alan Rickman, the actor who played Professor Snape, knew his character’s fate before the release of “Harry Potter and the Deathly Hallows” because Rowling told him. Inception: Dom Cobb (Leonardo DiCaprio) is a thief with the rare ability to enter people's dreams and steal their secrets from their subconscious. His skill has made him a hot commodity in the world of corporate espionage but has also cost him everything he loves. Cobb gets a chance at redemption when he is offered a seemingly impossible task: Plant an idea in someone's mind. If he succeeds, it will be the perfect crime, but a dangerous enemy anticipates Cobb's every move. 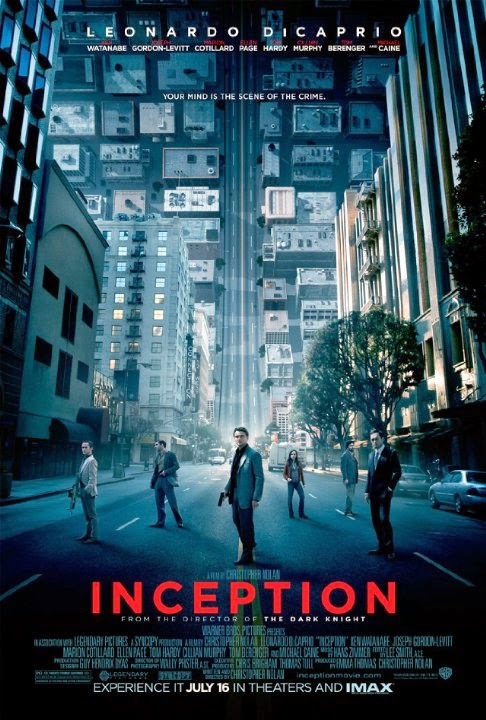 Fun Fact: The creator of Inception, Chris Nolan, had long wanted to make this movie based on his own experiences of lucid dreams. 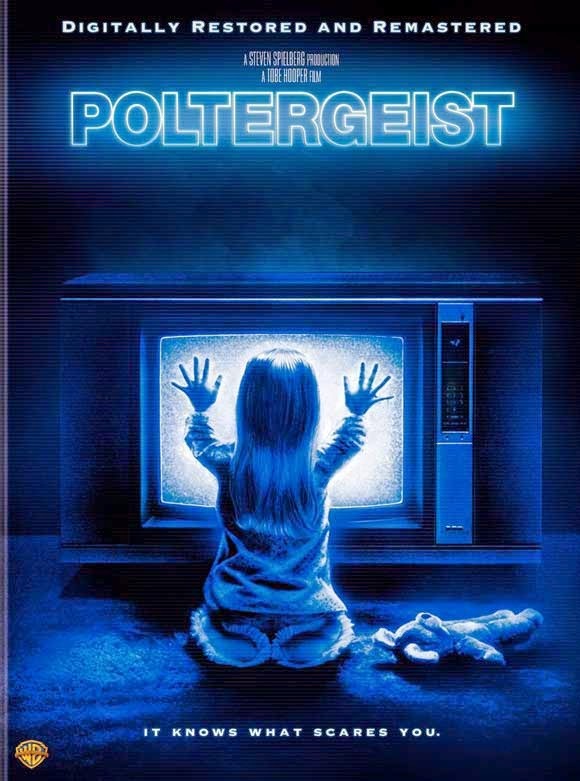 Poltergeist: A young family are visited by ghosts in their home. At first the ghosts appear friendly, moving objects around the house to the amusement of everyone, then they turn nasty and start to terrorize the family before they "kidnap" the youngest daughter. Fun Fact: This movie is being remade and released May 22nd. The original is a hard act to follow as Poltergeist is a cult classic. Ringu (Japanese Version of The Ring): A reporter must investigate a mysterious video tape which seems to cause the death of anyone watching it within a week. Fun Fact: In total there have been nine official films (6 Japanese and 3 remakes/spinoffs) 2 television series, 2 video games, and one short film in the Ringu series. The Conjuring: Paranormal investigators Ed and Lorraine Warren work to help a family terrorized by a dark presence in their farmhouse. Fun Fact: The Conjuring was based on the true case files of a real-life couple, Ed and Lorraine (played in the film by Vera Farmiga and Patrick Wilson), who were American paranormal investigators that founded the New England Society for Psychic Research in 1952. The Orphanage: A woman brings her family back to her childhood home, which used to be an orphanage for handicapped children. Before long, her son starts to communicate with an invisible new friend. Fun Fact: Although uncredited, the exec producer Guillermo del Toro plays the doctor at the Emergency Ward who tends to Laura after she injures her leg. The Shining: Jack Torrance becomes winter caretaker at the isolated Overlook Hotel in Colorado, hoping to cure his writer's block. He settles in with his wife and son, Danny, who is plagued by psychic premonitions. As Jack's writing goes nowhere and his sons visions become more disturbing, Jack discovers the hotel's dark secrets and begins to unravel into a homicidal maniac hell-bent on terrorizing his family. Fun Fact: Stephen King was originally unhappy about the way Jack Nicholson portrayed the main character. Editor's Cut: Pet Sematary (yes, I spelled that correctly), Insidious, The Woman in Black, The Sixth Sense, and Salem’s Daughters (Okay, I’m biased as this is my latest and greatest). The Exorcist: It didn’t scare me. And that’s the reason why I went to the movie. Cheesy and boring. Yawn. Honorable Mention: Mythology, Metaphysics, Magic, and Mediums. Tomorrow: Numerology. You won't want to miss this one! Question: Have you seen any of these movies? Did I miss some real good ones? What are some of your favorite supernatural or paranormal movies? Who Am I? 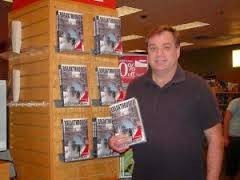 My name is Stephen Tremp, and I'm a Speculative Fiction Writer. My theme for the 2015 Blogging A to Z Challenge is The Supernatural and Paranormal. My latest work, Salem’s Daughters, is due for release Labor Day Weekend 2015.
judi, how cool is that! Since I'm not into scary stuff, Ghostbusters is the only one I've seen out of these. The others, only in passing. I saw most of these and agree with your picks. I have yet to see Inception. The Exorcist did scare me, but I saw it as a teenager not too much older than the girl in the movie. Maybe that's why. No surprise, but yes, I have seen all of them. I like finding out how inspiration for movies came about. There are fascinating stories that are behind some of these shows. Inception and The Shining were great movies, The Shining more than Inception I thought. No, none of the others seen! I've seen most of those movies. Loved the fun facts! I always love looking up trivia about movies I've seen. The Exorcist didn't scare me either. 1408 is a creepy movie. I love Harry Potter, Inception, and The Shining. Neat facts for all of the movies you highlighted! How nice it would've been to have info like that given directly from J.K. Rowling. And how could Stephen King not like Jack's portrayal of Jack? He was brilliant! Stephen, this is one of the best A to Z blog posts I've read! Great job! Ghostbusters - I love this movie! I watched an interview with Dan Akroyd. He's a genius. Poltergeist - You probably know that in real life actress Heather O'Rourke died at the age of 12 due to a medical condition and actress Dominique Dunne was murdered by her boyfriend. Ringu - I enjoyed both the Japanese version and the American version. The Conjuring - A couple of good scenes, but that's it. Insidious - This movie sucked! I can't believe it even made it to your Editor's Cut. The Exorcist - It didn't scare you???? If you watched it in the 21st century, then yeah, it probably didn't scare you. What they did then isn't scary now for a lot of people. But I'm old enough to remember when this movie first came out. It was unlike anything we had ever seen. Lines formed around the block to view it. (My parents wouldn't let me see it when it first came out because I was too young and the movie was too scary.) However, when I finally did see it, it scared the crap out of me. The Exorcist, along with Night of the Living Dead, are my two scariest movies of all time. Jolie, thanks for your very detailed response! And that's just bizarre about Dunne and O'Rourke dying so young. Maybe that movie was cursed. Lots of good movies here. I've seen more than half of them!!! Thanks for the memories. Nice collection of movies. Need to see many of them! I'm surprised a lot of people didn't like Inception. The special effects really helped make this movie. 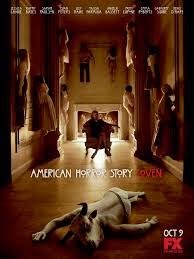 Most of these creep me out just by looking at the posters! 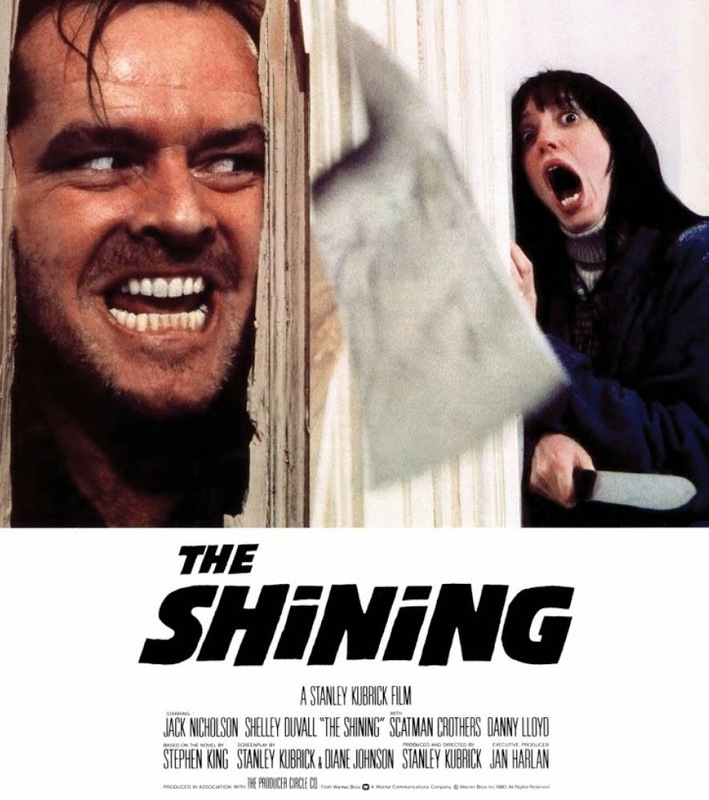 The Shining is probably my favorite scary movie ever. I never knew Dan Akroyd lived in a haunted house! I'll pass that along to my son. I'm very happy to see that Ghost Busters is still a huge hit among the next generation. Tyrean, sounds like a scary situation for your best friend. That's quite a mix of movies. I go for the ones that make me nervous and laugh more than ones like The Shining that grab onto my stomach and never let go. Loved the trivia. Ghostbusters is my speed, Akroyd is always a riot. Amazing how popular Ghostbusters is even today. Too bad Egon Spengler is no longer with us. Grace, I've had LOTR on so Manu Top Ten Movies blog posts I wanted some fresh shows. And yes go Dr. Who! My favorite is Don't Blink. Ghostbusters and Harry Potter - so so so good! The Shining is my tops from your ten. Also HP. My top ten would probably include some Hitchcock ones. And The Sixth Sense as well. possibly. So many films, difficult to pick just ten..even though I am not a true horror film fan. 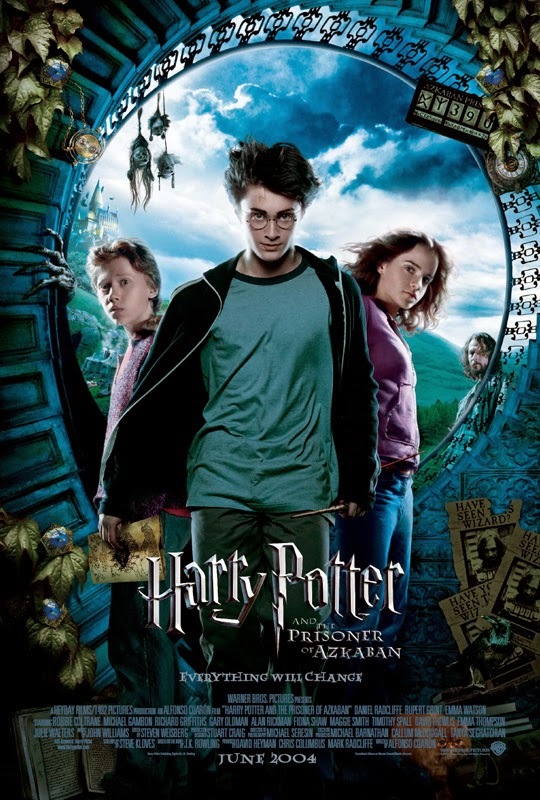 Harry Potter is my favorite of those you mentioned. There are some cute ones I liked such as Matilda. Susan we have that DVD. Gotta love Danny DeVito that one. In general I don't watch horror movies because I can't sleep afterwards but you've got a few here I have watched and enjoyed. All the Harry Potters, of course, but I think my favorite was Sixth Sense. Seen some, Harry Potter movies for instance and Ghostbusters. Tried to watch the latter again on TV recently, couldn't stand it. I am not really into horror and paranormal. GREAT list! I haven't seen the horror movies, but I have seen the rest. The only exception is Poltergeist. They are filming a re-make of it now. I feel it's one of those movies that stands the test of time and the re-make is just a waste of time. Another movie comes to mind is Field of Dreams. You picked some classics! The Shining and Ghostbusters are great. I need to increase my horror repertoire by watching some of the others. The Shining is so creepy, and Ghostbusters is just so awesome. I haven't seen a lot of these. I have to admit, I found the first Nightmare on Elm Street movie really scary as a teen. It was the first horror movie I really liked. I also enjoy Dawn of the Dead, which scared the crap out of me the first time I saw it and the remake was even scarier! I've seen a few. Ghostbusters. Poltergeist. (Well, maybe not all of it.) Harry Potter. I'm not a big fan of horror, so I tend to skip those. Ghostbusters is the best in the list of great movies. I'll need to rewatch some of the other ones. I think the only one I've seen here is Ghostbusters. I usually shy away from movies like this (vivid imagination). I didn't see it but when the first Paranormal movie came out, son's ex girlfriend was living with us at the time (long story, but she stayed in an extra bedroom). They saw the movie and she was so scared and freaked out she made her sleep in her room for a few days afterwards. Not sure if this would fit the category but I thought Sixth Sense was pretty good; I figured it out before the end of the movie. Love the fun facts you added after each movie. Great post on some good choices. Ghostbusters is one of my favorite movies. Birgit, I barely remember the Ghost and Mrs. Muir. Wasn't he a sea captain? And I almost included The Others. I really liked that movie. Just the pic of the little girl in front of the TV in Poltergeist still creeps me out. That movie scared me so much when it came out. Another one that scared me to no end was the original Omen, but I wouldn't be surprised if that one hasn't aged well. I'm a huge John Cusack fan so loved 1409. Cool bit of trivia on the movie run time! haha. 1408--slip of the keyboard! I've only seen Harry Potter, Ghostbusters, and Inception. Basically the non-scary ones because I am a giant wuss.